Poseidon's Children is the first book in The Legacy of The Gods series. What really drew me to the story was that it was told from more of a Horror standpoint rather than an Fantasy one. I've never really seen a story with Mythological characters told that way and I was definitely intrigued. One of the best things about Poseidon's Children were the characters. I loved how fleshed out everyone was and even though the cast is large it was easy to tell whom was speaking and when. Another thing that I really liked were the monsters themselves. I was so concerned they'd read like something from a cheesy Syfy movie but instead I found myself genuinely scared of them. Thankfully I don't live near an ocean because if I did I might be a bit hesitant to step in the water after reading this. Overall, Poseidon's Children was a great book and I cannot wait to see what the Author brings to the table for the rest of this series. I highly recommend picking up Poseidon's Children and giving it a go. If you like originality mixed with great writing, thrills and chills then you'll definitely want to read this book. 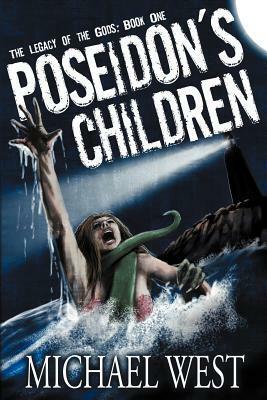 With that being said, I'll be rating Poseidon's Children by Michael West ★★★★. 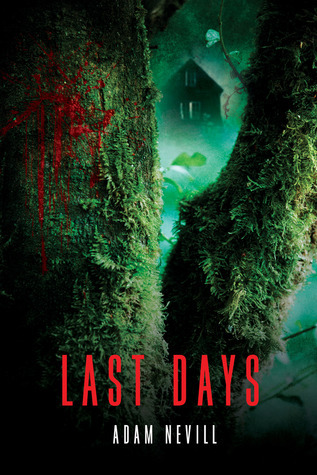 Last Days by Adam Nevill is a Blair Witch style novel in which a documentary film-maker undertakes the investigation of a dangerous cult—with creepy consequencesWhen guerrilla documentary maker, Kyle Freeman, is asked to shoot a film on the notorious cult known as the Temple of the Last Days, it appears his prayers have been answered. The cult became a worldwide phenomenon in 1975 when there was a massacre including the death of its infamous leader, Sister Katherine. Kyle’s brief is to explore the paranormal myths surrounding an organization that became a testament to paranoia, murderous rage, and occult rituals. The shoot’s locations take him to the cult’s first temple in London, an abandoned farm in France, and a derelict copper mine in the Arizonan desert where The Temple of the Last Days met its bloody end. But when he interviews those involved in the case, those who haven’t broken silence in decades, a series of uncanny events plague the shoots. Troubling out-of-body experiences, nocturnal visitations, the sudden demise of their interviewees and the discovery of ghastly artifacts in their room make Kyle question what exactly it is the cult managed to awaken – and what is its interest in him? Last Days is a book I stumbled across on Netgalley many months ago and figured I'd give it a shot. The book is billed as a Blair Witch style novel and that definitely caught my attention. Not because I liked that movie but because I was hoping it could pull off what Blair Witch hadn't, the ability to scare me. So how did this book fair? Decent. 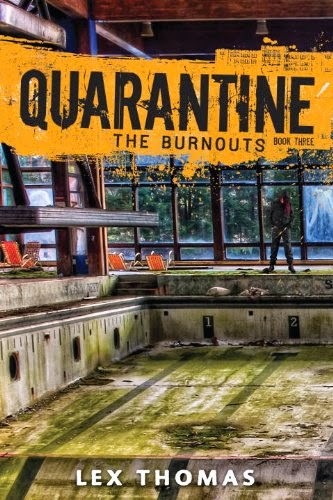 While I really liked the atmosphere and the characters the story was just a bit to slow for me. One of my biggest issues with Last Days was that the story had to much tell and not enough show. A good horror story in my opinion needs both in order to keep the reader glued in and yet wanting more. While I certainly liked Last Days if it wasn't for the ending (which was awesome btw) I would've definitely lumped this book as more Paranormal than horror. Now I will say that this book might be scary for you if you don't read much Horror. I think since I do that is part of the reason why I had issues with the story. If you don't then this book very well might succeed in scaring the daylights out of you. Overall, while I liked this story it was definitely a bit of a letdown for me when it came to the horror elements. Would I recommend it? Yes, if you like films like Blair Witch or Paranormal Activity then this book would probably be right up your alley. With that being said, I'll be rating Last Days by Adam Nevil ★★★. Whoa, great covers. That Poseidon dude really was evil.